Plain and simple: What if tax professionals used Uber to encourage people to visit and complete returns in their tax office? It sounds pretty simple, and perhaps not that revolutionary, but let’s focus on the psychology for a bit. It’s very difficult to imagine or accurately assume the things that are happening in people’s lives, but incentives at any point are a thing of beauty. 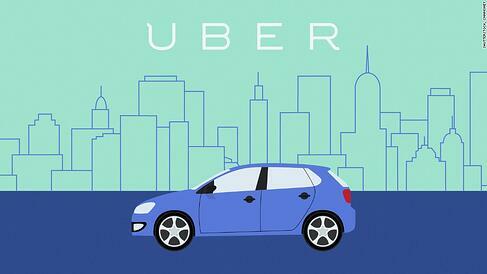 Uber created it’s Uber Central platform as a way to drive more customers to any business. You can ensure that your customers arrive at your tax office, at no cost to them, and without a smartphone! You’re giving your customers a real incentive to come in and get their taxes done. You’re providing value and being empathetic with people’s daily lives. And you’re building loyalty around your brand and community. Is it expensive? Is it worth it? Well, that depends on how you view your business. A trip to your tax office, for the people in your area, can be about $8 - $10, and then assuming you send them back, another $8 - $10. The average tax return is a bit over $250, so I’ll let you decide if the $20 service makes sense for your office. More than that, look at the difference from saying “$20 Discount on Taxes” to saying “We’ll take you home and back...Come get your taxes done”. The expense is the same, but the value and appreciation is ten fold. Always look for these marketing opportunities to separate yourself from your competitors. If you’re thinking this won't help you gain new clients, then that’s completely ok, but just know that in the end, the only people who fail are the ones that don’t try.